ARLINGTON, Va. (WUSA9) -- A man accelerated his vehicle at an officer, and struck two vehicles before fleeing from the scene of an assault in Arlington on Sunday, police said. The incident happened in the 2900 block of S. Glebe Road around 5:42 a.m., according to authorities. Officers responded to the assaulted in progress and found the suspect in a vehicle upon their arrival. Police gave the man commands, however he failed to comply. Instead he accelerated his vehicle at an officer and hit two parked cars before fleeing the area. Officers and a K-9 track searched the area, however did not find the man. Warrants were obtained for Javier Torres Bustos, 21, of Arlington, for attempted malicious wounding on law enforcement, eluding, and two counts of hit and run. ARLINGTON, Va. (WUSA9) -- New details are emerging in the case of an Arlington man who is charged with killing his wife, Bonnie Black in their Arlington home in April. In a bond hearing on Monday, Arlington County Commonswealth's Attorney Theo Stamos told the court that David Black asked a friend to help him kill his wife. The murder was referred to as a classic case of domestic violence. David Black emotionally and verbally abused his wife for years until she filed for divorce. 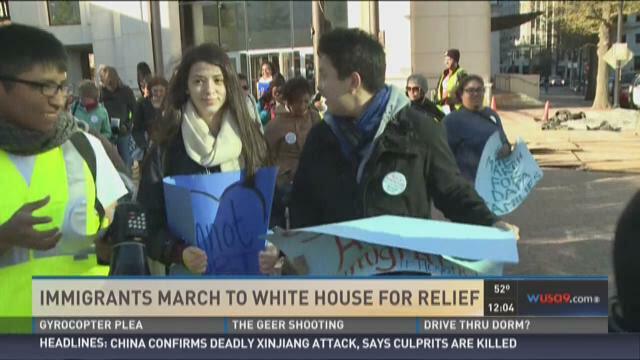 ARLINGTON (WUSA9) -- Around 40 marchers are walking from Arlington to the White House Friday in honor of immigrant families and to end deportations. ARLINGTON, Va. (WUSA9) -- Fire crews are responded to a fire at an Arlington home Thursday morning. The fire was at the house located at Columbia Pike and S. Moore, Arlington Professional Firefighters and Paramedics Association said. Arlington Fire reports that the fire is out. Officials said the call came in around 8:09 a.m. for the fire in the basement of the single family home. No injuries have been reported. The fire remains under investigation at this time. ARLINGTON, Va. (WUSA9) -- While more than half of the nation's governors are saying "no" to Syrian refugees in their states, one county in our area is actually rolling out the welcome mat. In fact, Arlington County, Va. is offering refugees services in both Arabic and English. Even the US Census Bureau called Arlington "the world in a zip code." One hundred different languages are spoken in Arlington and this community could soon become even more diverse, if it accepts Syrian refugees. Arlington, Va. has long been a melting pot of cultural diversity. "We're all people. We're the human race. We should be able to work together and get along and enjoy one another, said Arlington resident Angel Austin. In fact, when WUSA9 stopped random people on the street for interviews, most were immigrants. 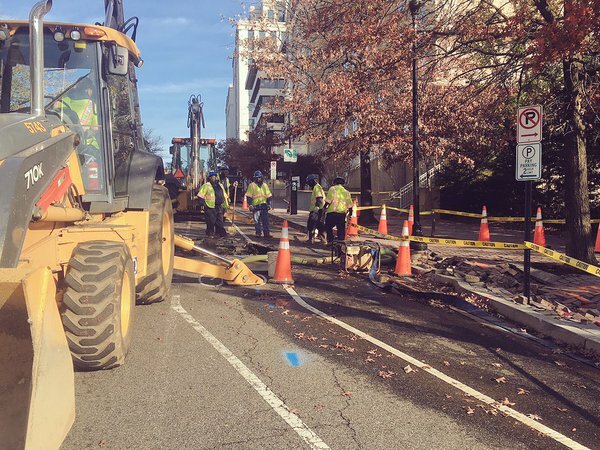 ARLINGTON, Va. (WUSA9) -- There are road closures in Arlington Tuesday due to a water main break, Arlington police said. ARLINGTON (WUSA9) -- A flight at Ronald Reagan National Airport bound for Boston was evacuated after crew members reported "suspicious activity" by two people on the plane. K9 units swept American Airlines flight 2124 after all the passengers were off and did not find anything suspicious. The flight reboarded and left for Boston. The two passengers were questioned by authorities and released. They did not reboard the flight, but American says they will be re-accommodated on a later flight.